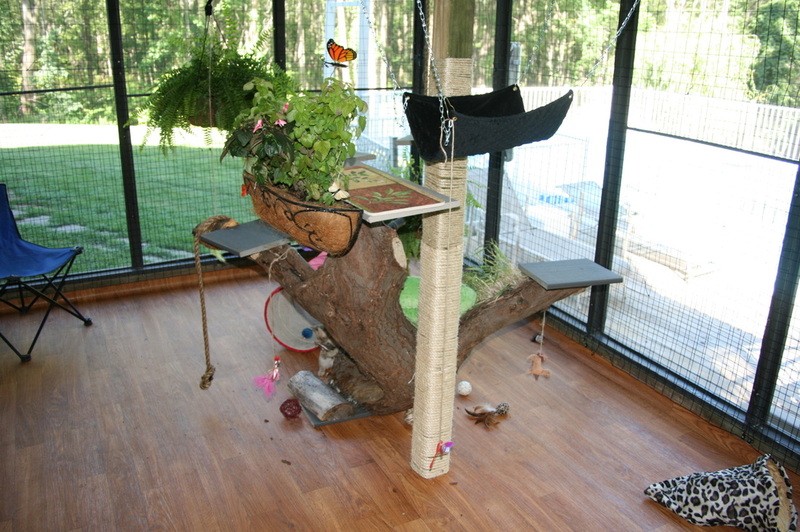 Installed in the summer of 2013, this carefully screened and fenced in porch allows all of our cats and kittens to answer the call of the wild and enjoy the outdoors while staying safe and secure from potential dangers. 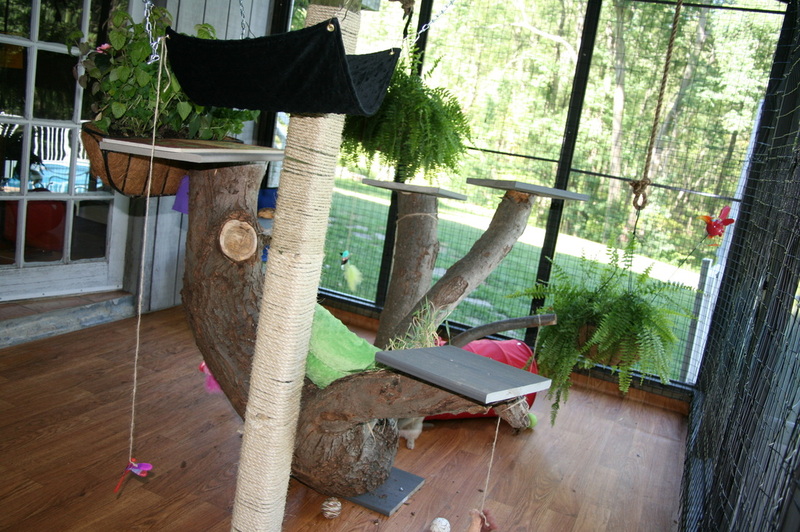 The solid ceiling provides shade and protection from rain, while the floor's stain resistant vinyl allows it to be thoroughly cleaned and disinfected. 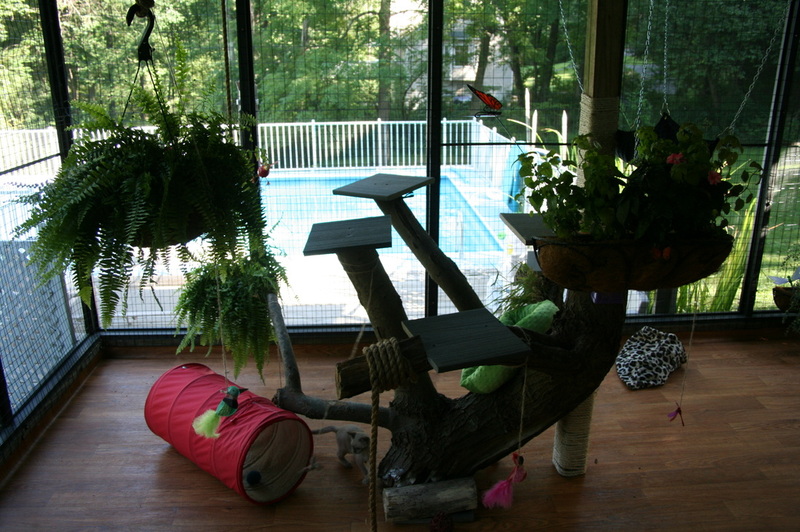 All plants were selected for their cat friendly qualities, and a bird feeder was set up near a long, narrow catwalk for prime viewing enjoyment. 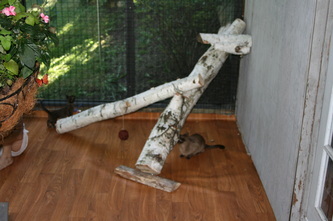 All of our cats love being out in this kitty paradise, built just for them off of our lower level cat room.